Born in England to Irish parents, she grew up in Manchester in the melting pot of post-war Ardwick. Later she trained as a teacher and began work with the primary school children before working in the School Psychological Service. She trained as a counsellor and in 1980 was one of the first people to introduce counselling into schools in Britain. 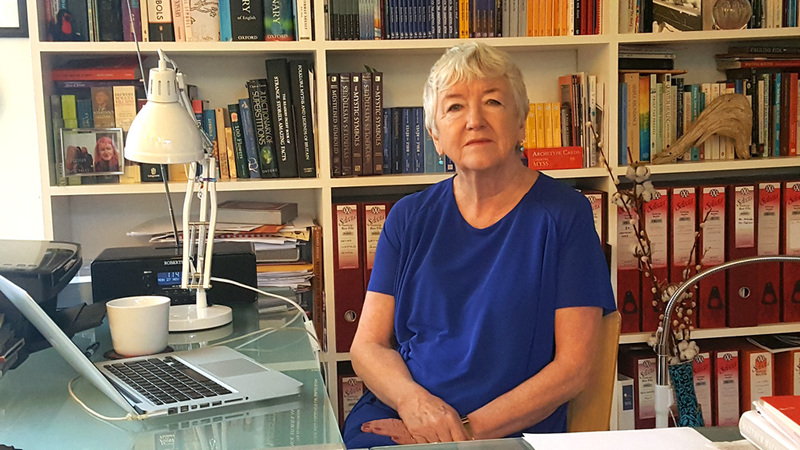 After completing her Masters in Education at Manchester’s Victoria University, Brenda began to concentrate on training teachers working with distressed and distressing children. She later set up her own psychotherapy practice in Didsbury, Manchester, and began her writing career. She offers one-to-one work with both adults and children and specialises in working with bereavement, loss and separation and with those who have a life-threatening illness. Brenda was on the Board of Directors of the International Association for the Study of Dreams (IASD) and is the vice chair of Manchester Area bereavement Forum, (The Grief Centre). She is also a member of the Society of Authors and the National Association of Writers in Education. She is married and has three children, three grandchildren, one dog and two cats.